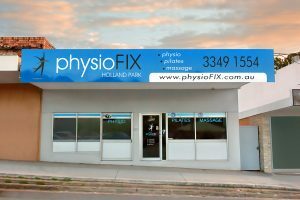 What hours does physioFIX open? Do your physiotherapy services cater for what I need? We have HICAPS available for on-the-spot claiming. However it is best to contact your Private Health Insurance provider to double check what services you are covered for and the amount of rebate you will receive. Are your Massage Therapists fully qualified? Yes – Our Massage Therapists are all fully qualified. They are registered with the appropriate Massage Associations and have full insurance and *Private Health claiming status. Yes – we have the option of male and female therapists available. Be sure to let us know when you book if you have a preference. Parking is available directly out the front on Logan Road. Alternatively there is street parking available behind us on Miriam Street. For all private injuries and treatment you do not need a referral. If however you have been injured at work, in a motor vehicle accident or have a Gold or White card through DVA you will need a current referral from your GP. For claims through Medicare you will need a Medicare Team Care Plan referral from your GP.